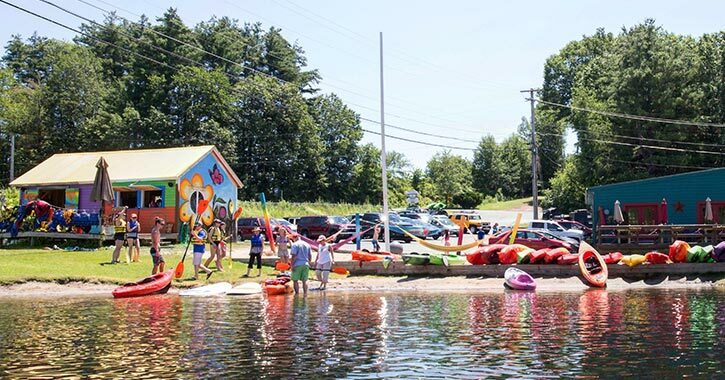 You don't need to travel to Lake George to enjoy a day's worth of fun by the water. A wide range of outdoor adventures and activities await at Saratoga Lake, located in southern Saratoga Springs, NY. In fact, to help you plan for your next trip, we've picked out 5 great things that you should do the next time you visit Saratoga Lake! 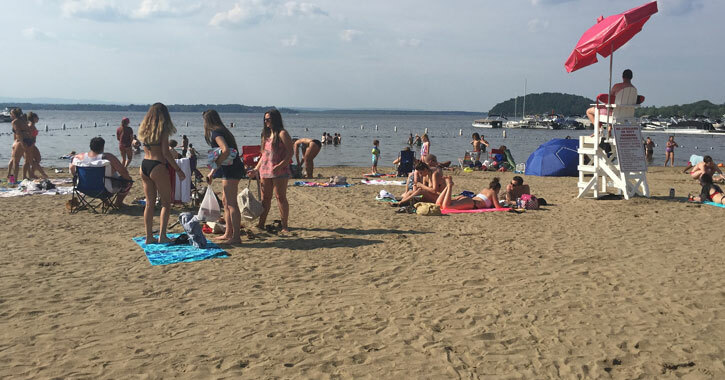 Located at the southern tip, Brown's Beach is one of the only public swimming spots on Saratoga Lake. The beach is typically open from Memorial Day Weekend through Labor Day Weekend, and it features a large sandy beach, a swimming area, and a shallow launch for canoes, kayaks, and stand up paddleboards. 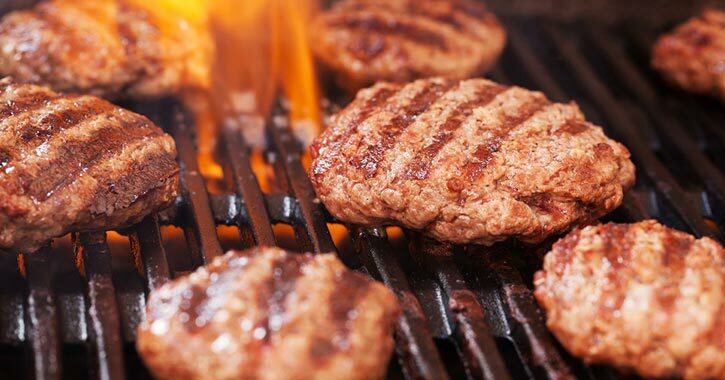 You'll also find a snack shack, a large pavilion that is available to rent, and more. Explore the Lake With Adirondack Cruise & Charter Co. 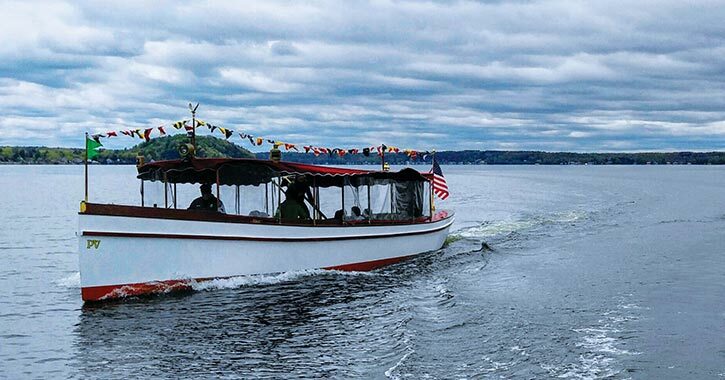 Although swimming is always fun, one of the best activities you can do on Saratoga Lake in spring, summer, and fall is take a boat tour with Adirondack Cruise & Charter Co.! The company offers memorable cruises aboard their two vessels - the General Schuyler (a Fantail Launch) and the Kaydeross (an open air luxury pontoon boat). You can book a private charter or get your ticket for one of their specialty cruises, such as a morning or a sunset cruise. 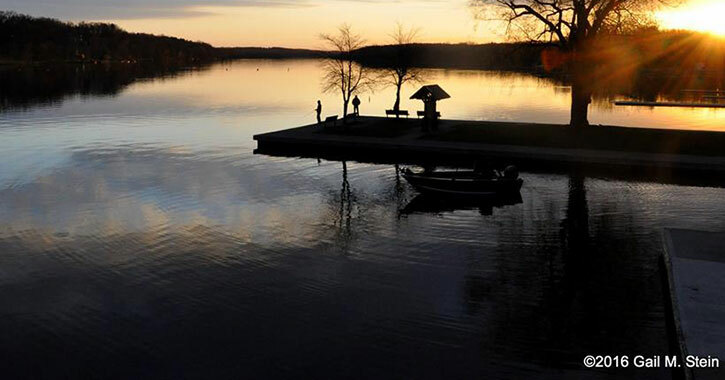 Saratoga Lake is one of the best fishing spots in the entire Saratoga Springs region. The lake is home to a wide range of fish species, including largemouth and smallmouth bass, northern pike, walleye, crappie, bluegill, perch, and carp. The boat launch operated by New York State Office of Parks, Recreation and Historic Preservation off Route 9P is an excellent spot to fish and launch boats on the lake. There is a parking capacity for up to 100 trailers, and the site is open year-round. Keep in mind, there is a fee to use it! The Waterfront Park at Saratoga Lake is a great place to relax and enjoy views of the water with your friends and family. This 4-acre park features a non-motorized boat launch, a small amphitheater for community events, and a picnic area with BBQ grills. Stop by and take your canoe or kayak out for a paddle; or, enjoy lunch at a picnic table on a beautiful sunny afternoon. While Saratoga Lake is popular with boaters, the lake and surrounding area also offer plenty of opportunities for paddlers. You can take a canoe or kayak trip across Saratoga Lake, or you can try paddling along the Kayaderosseras Creek, Fish Creek, or even Lake Lonely. Don't own a boat? Consider renting one with the local Kayak Shak or Lake Lonely Watersports to help you begin your adventure.